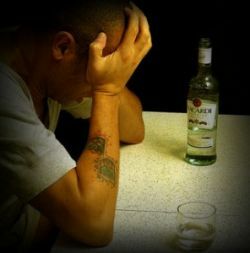 Do you sometimes feel as if you CAN’T quit drinking? If you’ve failed to quit drinking alcohol you may have tried to “bite off more than you can chew”. Instead of breaking a promise to yourself to NOT drink, and then feeling disappointed that you’ve resumed, try one of these easier alternatives instead. Alternative 2: Take a 7 day break from alcohol. Taking a full week off from drinking is a bit more difficult for some people. It requires that the weekend be alcohol-free, which can be a daunting task. However, the experience of an “alcohol-free weekend” can be remarkably rejuvenating to one’s mind, soul and body. In addition, it’s a nice benchmark to achieve, and can help you build up your commitment to get your drinking under control. If you already can take a week off from drinking, then you should move onto the next step. Alternative 3: Take a 30 day break from alcohol. Although very difficult, not drinking for 30 days is a tremendous milestone and can be exceptionally rewarding. Many people who take a month off from alcohol find it very EASY to simply never drink again. Others find it much easier to control their drinking in the future, as one or two drinks seem much more satisfying since their bodies no long have a high tolerance of alcohol. We can all get too caught up in our “failures”, and forget that the small victories are often more important. If you’ve ever felt that you can’t quit drinking, take a step back and focus on an easier accomplishment. ← Disease or Bad Habit?